California has opted to have dental as a stand-alone plan for children for the new ObamaCare Health Exchange Plans. California was the first state to release its plans and premiums, and now it is leading all the other states in making its pediatric dental Exchange plans transparent. All of the ObamaCare “metal” plans, known as Bronze Plan, Silver Plan, Gold Plan, and Platinum Plan, must include the Health Care Exchange essential health benefits. Pediatric dental and vision are included as one of these benefits. However lawmakers believe that it will cost parents less if these plans are separate from a bundled plan. CA pediatric dental premiums released 6/25/13. These premiums range from less than $10 a month to about $30. The pediatric dental premiums range in price by area and plan. There two types of plans offered are one with an actuarial value of 85%, and one with an actuarial value of 70%. All those values mean is you would pay 15% or 30%, respectively. Under ObamaCare a stand-alone dental plan meets the requirements, however Lee’s statement that having pediatric dental benefits is not a requirement is in conflict with the Affordable Care Act’s list of essential health benefits. Hmmm.. We will continue to look into this as more states release their dental care plans and update this page accordingly. Because all of this is so new there isn’t a lot of concrete info about how adult dental plans will work once the Exchange kicks in. The Essential Health Benefits aspect of the Affordable Care Act only addresses pediatric dental not adult dental. To learn more read the article New ObamaCare Health Plans Do Not Include Dental and Vision. Should I Wait for the Exchange to get Dental Coverage? No. And there are two reasons why you wouldn’t want to wait. 1) As of now all dental coverage has guaranteed issuance, which just means that anyone who applied for dental, gets dental. 2) Dental plans are month to month, so better to get coverage now if you have an emergency root canal or need your wisdom teeth out. Go to our dental overview page to learn about dental plans. 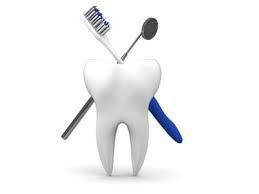 For further questions about dental coverage in your state call 800-930-7956 or contact Medicoverage for assistance.